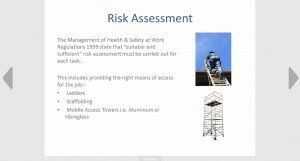 Provides trainees with an understanding of the law, risk assessment and access methods along with control measures. 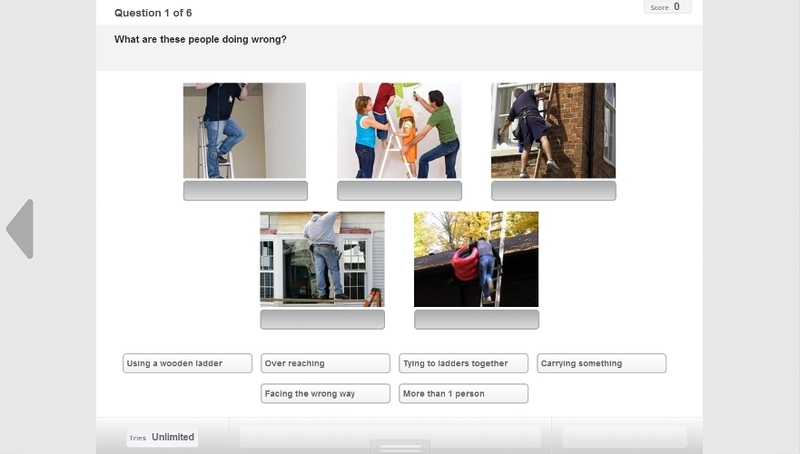 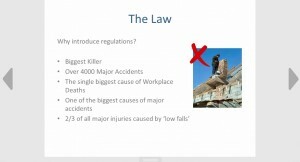 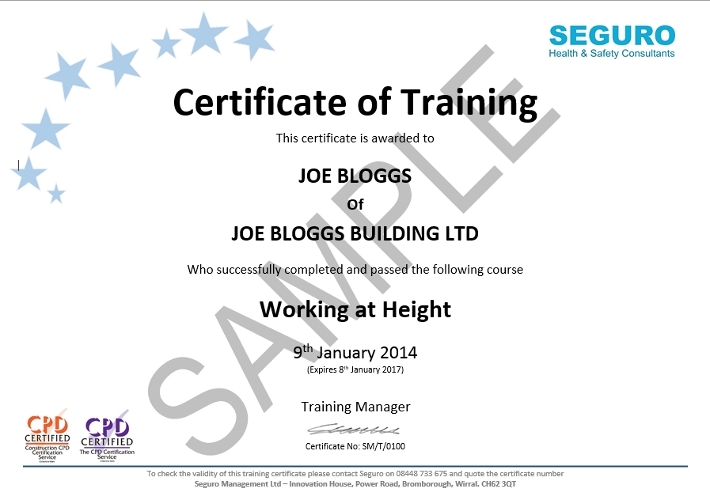 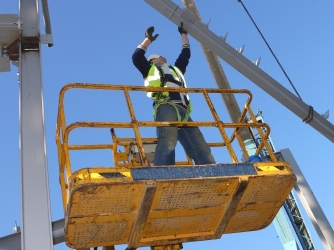 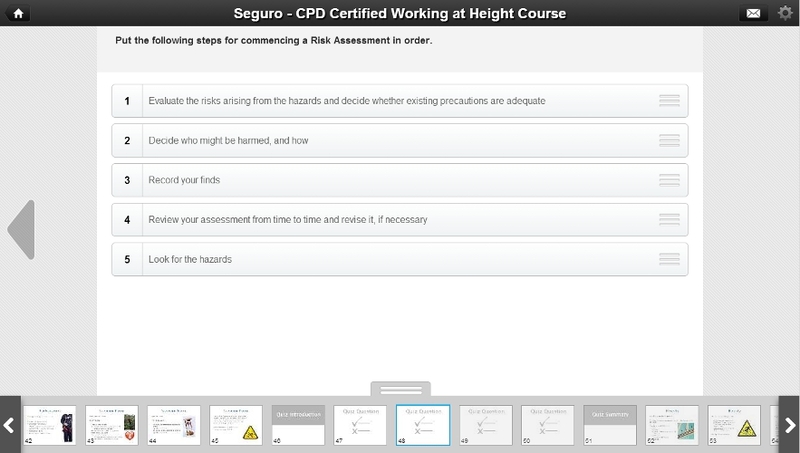 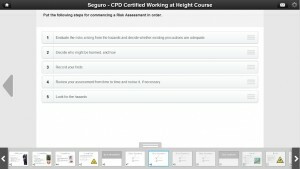 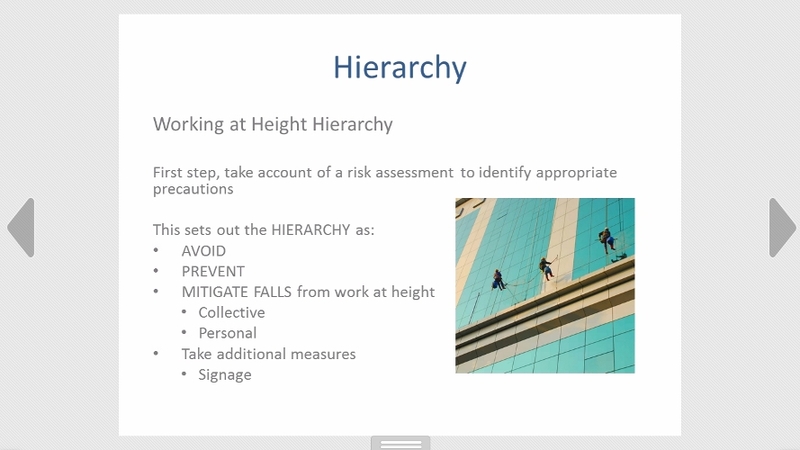 This is an interactive Working at Height E-learning training course. 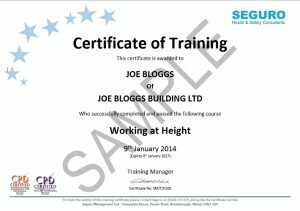 It engages trainees through audio and visual presentation. Taking approx and hour to complete.